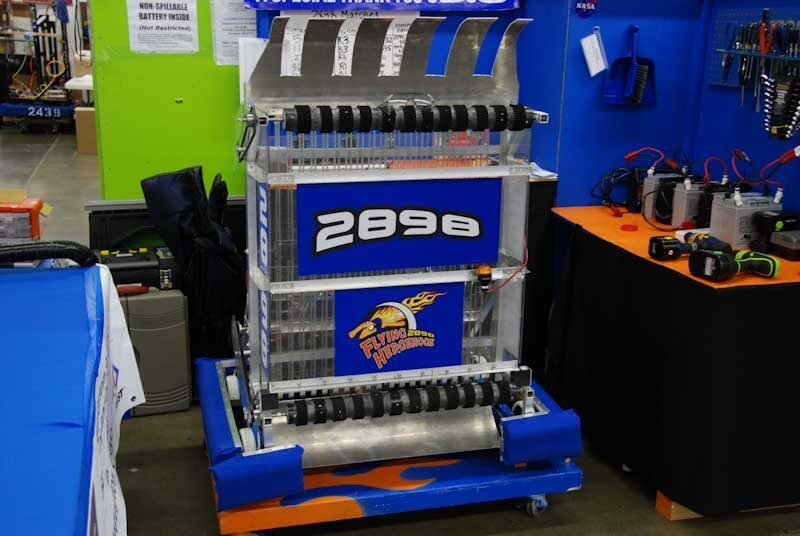 The 2009 FIRST Robotics Competition was named Lunacy to commemorate the 40th anniversary of the first manned mission to the moon. In Lunacy, robots drive around on a slippery, ice-like surface. Each robot has a trailer attached to it. Teams attempt to score balls into opponents’ trailers while preventing opponents from scoring in theirs. During endgame, special bonus balls or “supercells” can be thrown into robot trailers for extra points.